Chris Newson - Saxmundham, Suffolk based artist well know for his work in oil, displays his photographic eye. Exhibition includes works by London, Cambridge, Essex and East Anglian artists. An exciting addition to our gallery is a Norfolk based artist who transfers her prints to material and creates lamp-shapes and cushions. After gaining a BA Honours in Fine Art painting at Wimbledon School of Art, Clare went on to complete postgraduate studies at Goldsmiths University. She has been making and exhibiting work throughout the UK since then and has shown work at the Royal Academy of Art. 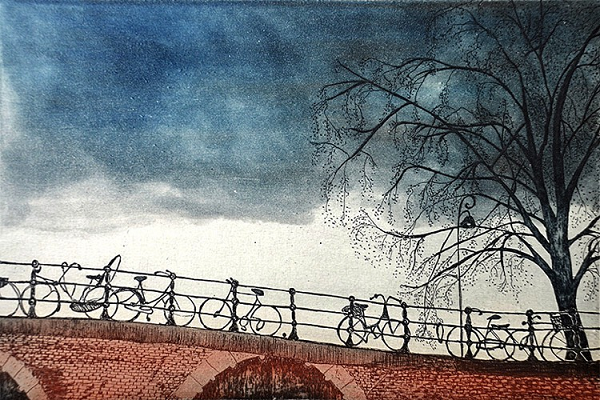 She became interested in printmaking in 2002 and now incorporates monoprint, etching and collagraph into her practice. She was awarded the CPSC Diploma by Stanley Jones MBE and Chloe Cheese MA RCA at the renowned Curwen Print Study Centre. Most recently Clare was awarded a residency at Brisons Veor, Cornwall. Clare can be found working in her garden studio in Cambridge, UK. 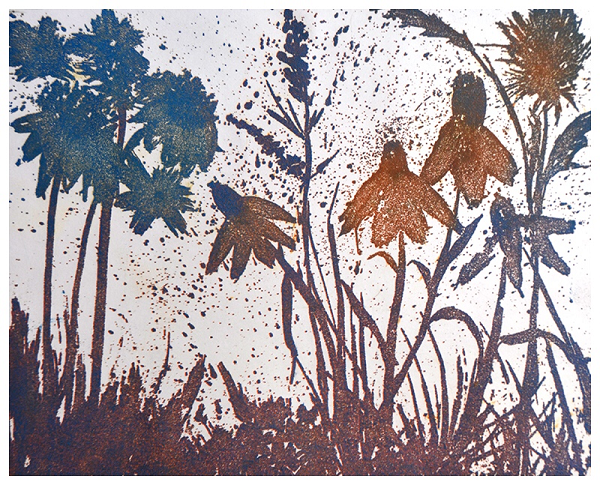 A selection of local and UK based artists specialising in printmaking, etching, litho and illustrations. 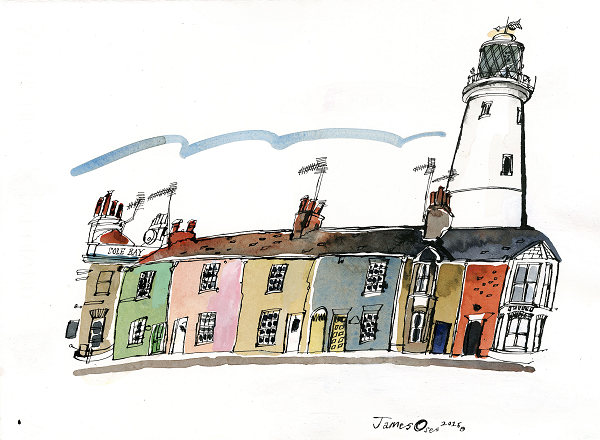 Featuring local Suffolk/Essex printmakers - Bill Pryde, Arabella Crum Ewing, Marilyn Jackson, Bryan Whiteley and Kit Leese as well as London based printmakers and illustrators - Theresa Pateman and James Oses. An exciting solo exhibition by a talented local artist living in Saxmundham.